Surrey-based signage company Stocksigns Group is set to tackle its biggest charity challenge to date in order to raise funds for the Royal Society for the Prevention of Accidents (RoSPA). The Stocksigns team will be climbing Mount Toubkal, North Africa’s highest mountain from Friday 18 May 2018 and are hoping to complete the challenge in under 3 days. The epic challenge involving 12 employees is aiming to raise £4,000 for RoSPA (https://www.rospa.com), a charity the company has been supporting for almost a decade. Located within the Toubkal National Park in southwestern Morocco, Mount Toubkal reaches 4,167 metres high. RoSPA is currently celebrating 100 years of saving lives and introduced the Brighter Beginnings Appeal at the start of its centenary year. The appeal focuses on keeping children safe and providing parents with information to help protect their children from accidents. 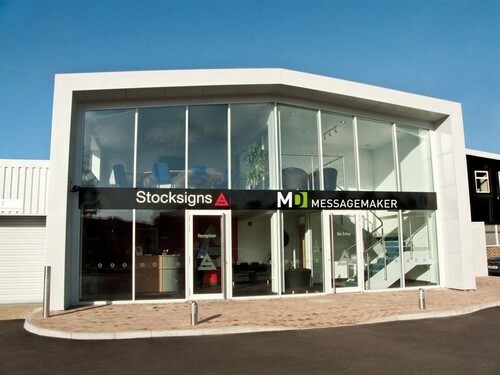 Stocksigns Group, which is made up of Stocksigns, Messagemaker and First Call Signs, has provided signage to British businesses for over 60 years. Their dedicated team of experts help companies understand the signage they need and how to ensure they are compliant with the International Organisation for Standardisation (ISO). A practice walk will be taking place across the North Downs in December. A fundraising site has also been set up and can be found here https://www.justgiving.com/fundraising/stocksigns-team. To stay up to date with the team, please follow @Stocksigns on Twitter. For further information, or to request an interview with Danny Adamson please contact Adam Betteridge via email adam@famouspublicity.com or Dom Hogan at dom@famouspublicity.com or call the office on 0333 344 2341. Stocksigns’ sign range also includes all forms of safety signs and general signage including Emergency Fire Escape signs, Road and Traffic Signs, Fire Exit Signs, Photoluminescent Signs and Hazard and Warning Signs through to No Smoking Signs. The Stocksigns Group also includes First Call Signs and Messagemaker. First Call Signs is a leading provider in quality temporary signage for the construction, events and festival industries. Its sister company Messagemaker is a UK LED sign and display manufacturer with over 20 years' experience. This press release was distributed by ResponseSource Press Release Wire on behalf of Stocksigns Group in the following categories: Children & Teenagers, Men's Interest, Health, Women's Interest & Beauty, Education & Human Resources, Medical & Pharmaceutical, for more information visit https://pressreleasewire.responsesource.com/about.